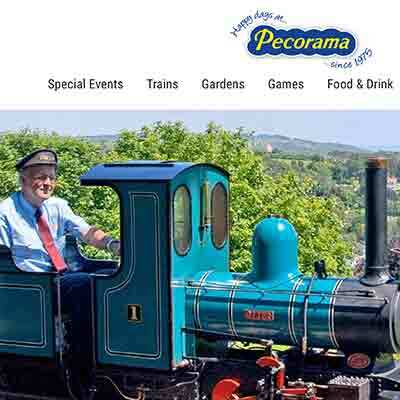 One of Devon’s leading tourist attractions is set on the hillside above the picturesque fishing village of Beer and is home to the world’s foremost manufacturer of model railway track. PECO Streamline and PECO Setrack. 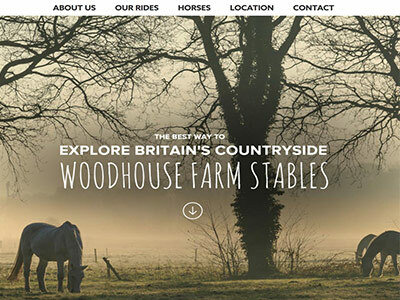 There are no commercial attractions – just gently rolling countryside with walks around the fields where you can meet the dear donkeys, who adore the fuss and attention received from visitors. Donkeys of all ages are resident at Slade House Farm but a large percentage are elderly and remain here in order to be close to the Veterinary Department. 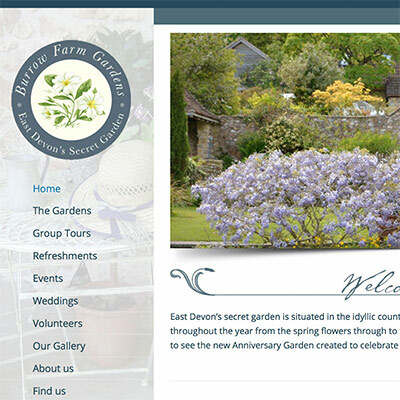 Spanning nearly 300 years of horticultural history, these magnificent grade 1 listed gardens are set in Devon picturesque Otter Valley , between the ancient city of Exeter and England’s Jurassic Coast World Heritage Site. 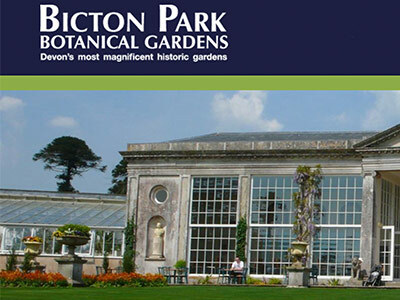 The superbly landscaped park combines 18th century tranquillity with modern amenities to provide all year round enjoyment for everyone of all ages including historic glasshouses, a countryside museum, the Bicton Woodland Railway train ride, nature trail, maze, mini golf, indoor and outdoor children’s play complexes, restaurant and shop. Husband and wife team Andrew and Jayne Collier welcome you to Axe Valley Wildlife Park – a zoo in Devon. 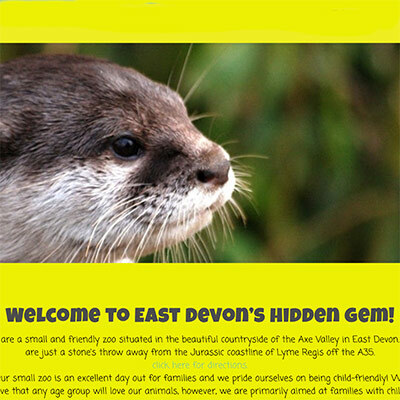 Situated in the beautiful Axe Valley, alongside the A35, the Axe Valley Wildlife Park is a stone’s throw away from Lyme Regis. The Axe Valley Wildlife Park near Axminster is a great family outing where you can see a variety of birds and mammals; from tiny chipmunks to zebras in our animal paddocks. Come and see our wide variety of birds too. You can feed the ornamental ducks and geese on their ponds or experience other exotic birds, such as flamingoes, cranes, kookaburras and parrots. A fantastic day out for all! You can ride on the deer train or take a goat for a walk! 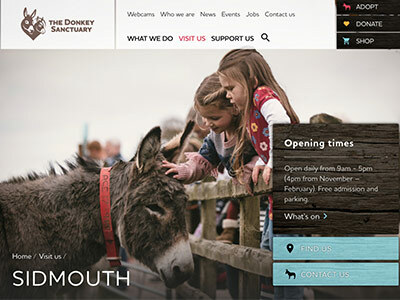 Get up close to the animals in the pet centre or burn off some energy in one of the three different soft play areas. There’s also a museum of farming and a Victorian street as well as the vintage car and Reg Imray motorcycle collection. 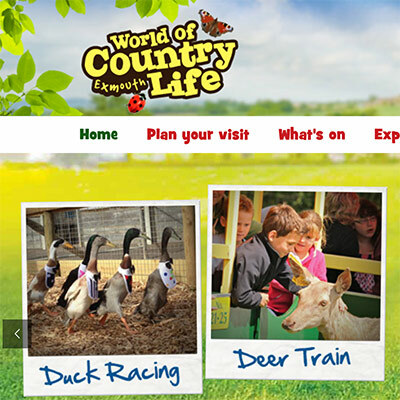 To top it all off there are daily ferret, lamb or duck racing shows and the excellent Hawkridge Bird of Prey display. These beautifully landscaped gardens, extending to nearly ten acres, feature superb views of the surrounding countryside which provide a fitting backdrop to the spacious lawns, lush borders and unusual shrubs and trees. Whether you are a keen gardener or pausing on your journey to the South West, you will fi nd a peaceful oasis with extensive rural views. 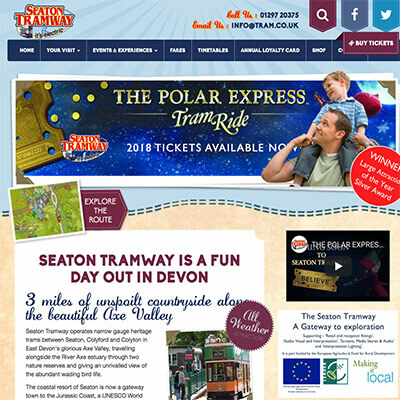 Seaton Tramway operates narrow gauge heritage trams between Seaton, Colyford and Colyton in East Devon’s glorious Axe Valley, travelling alongside the River Axe estuary through two nature reserves and giving an unrivalled view of the abundant wading bird life. The coastal resort of Seaton is now a gateway town to the Jurassic Coast, a UNESCO World Heritage Site, whilst the historic town of Colyton is described as “Devon’s Most Rebellious Town” for its part in the Monmouth Rebellion of 1685. 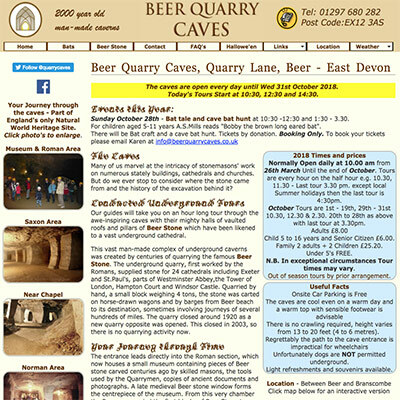 This vast man-made complex of underground caverns was created by centuries of quarrying the famous Beer Stone. The underground quarry, first worked by the Romans, supplied stone for 24 cathedrals including Exeter and St.Paul’s, parts of Westminster Abbey,the Tower of London, Hampton Court and Windsor Castle. Quarried by hand, a small block weighing 4 tons, the stone was carted on horse-drawn wagons and by barges from Beer beach to its destination, sometimes involving journeys of several hundreds of miles. 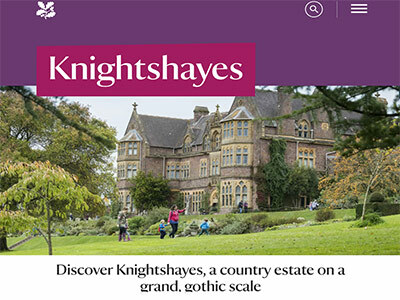 With acres of glorious gardens and parkland, surrounding a spectacular Gothic Revival house, Knightshayes is the complete country gentleman’s dream. The house is a rare example of the work of William Burges, whose richly decorated interiors have always inspired extremes in opinion. Full of quirks and curiosities, you can see gargoyles, corbels and a medieval inspired great hall. The garden is one of the finest in Devon and its collection represents one of the most varied in the Trust; with over 1200 plant species unique to Knightshayes and riotous seasonal colour, it’s always worth a visit. 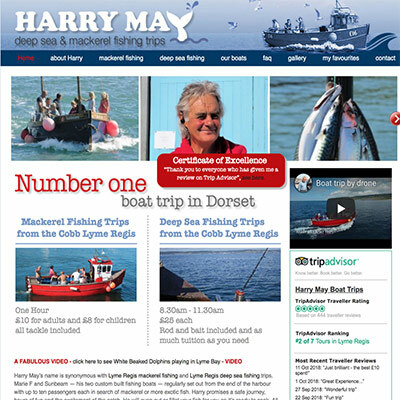 Harry May’s name is synonymous with Lyme Regis mackerel fishing and Lyme Regis deep sea fishing trips. Marie F and Sunbeam — his two custom built fishing boats — regularly set out from the end of the harbour with up to ten passengers each in search of mackerel or more exotic fish. Harry promises a safe journey, hours of fun and the excitement of the catch. He will even gut or fillet your fish for you so it’s ready to cook. All the equipment is provided plus tuition if needed. Harry has always lived in Lyme Regis and his beautiful house overlooks the harbour from where he can keep a watchful eye on his two boats. 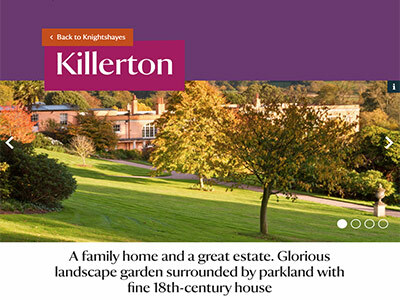 Established in 1765 by the first Countess of Ilchester as a kitchen garden for her nearby castle. 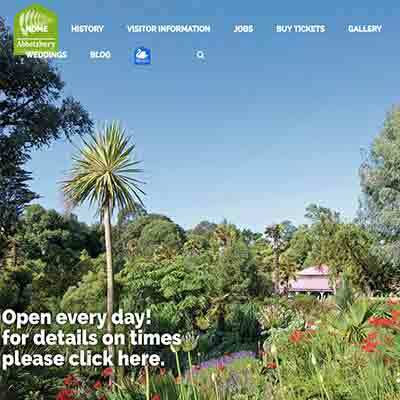 Developed since then into a magnificent 30 acre garden filled with rare and exotic plants from all over the world. Many of these plants were first introductions to this country, discovered by the plant hunting descendants of the Countess. 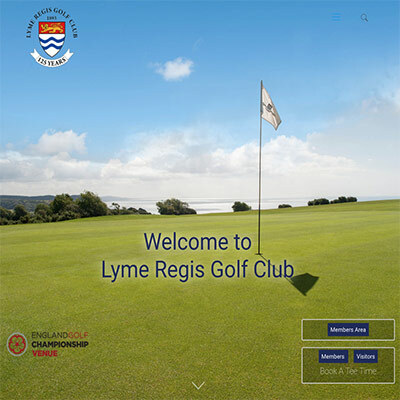 Lyme Regis Golf Club was founded in 1893 and is recognised as one of the finest golf courses in the South West. The course occupies a cliff top site with coastal views towards Portland Bill and overlooks the historic town and World Heritage Site of Lyme Regis. The condition of the course is the source of constant praise from visiting golfers and is to the credit of our team of expert and dedicated greens staff. Although on a cliff top plateau the course itself is not actually hilly and golfers can enjoy an exhilarating round of golf with some magnificent views. Would you give away your family home for your political beliefs? Sir Richard Acland did just this with his estate. At 2,590 hectares (6,400 acres) it is one of the largest the National Trust has acquired (it includes 20 farms and 200-plus cottages). Explore this year’s fashion exhibition ‘The Nature of Fashion’ with intricately decorated pieces stitched, dyed and printed from natural fibres to catwalk fashion. Is in Dorset and is a treasure in an area already known for its outstanding beauty. It is a family home as well as a living and breathing working estate, and welcomes visitors all year round. The rhododendrons and azaleas are in full bloom, and the first of the sweet peas – Lathyrus sativus Indian Blue Pea – is just coming into flower in the Kitchen Garden. The gardens are ever-changing and there is always something worth seeing. The Fruit Farm will be open for pick-your-own strawberries from mid-June. We have been one of the top things to do in Exmouth since 1968. 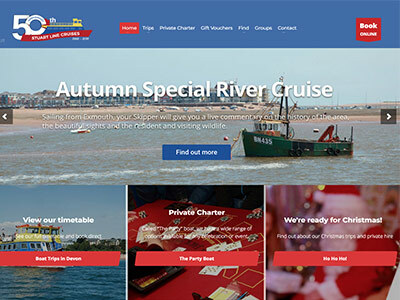 Sailing the waters around Exeter, Torquay, Sidmouth and Exmouth, we have remained a family business taking hundreds and thousands of happy families to see the start of the Jurassic Coast and River Exe. The family business now have 3 boats, which we operate in our distinctive colours, that have become part of the view along the coast and we are always on the list of ‘family attractions in Devon’! Here you will find friendly, qualified instruction for all levels of ability and age. From beginners, children, adults and nervous riders. 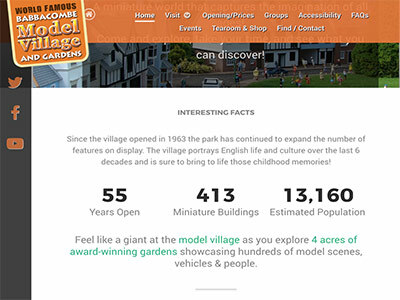 Feel like a giant at the model village as you explore 4 acres of award-winning gardens showcasing hundreds of model scenes, vehicles & people. A miniature world that captures the imagination of all ages! Sound & animation, along with some very British humour, all help to bring this world to life. Lots of hidden secrets and characters are waiting to be found. Come and explore, take your time, and see what you can discover! 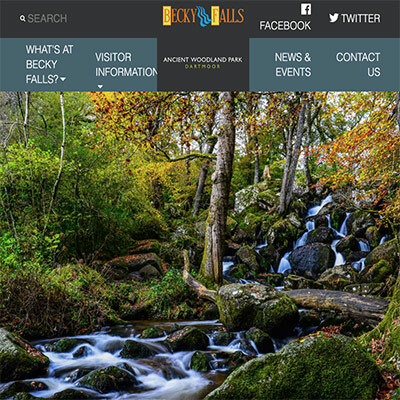 Is set within a stunning Dartmoor valley, the walks and scenery offer a fun-filled day out for both young and older visitors alike. There’s a full programme of children’s entertainment during school holidays, including Animal Encounter Shows, Animal Feeding sessions, puppet shows, storytelling and, new for this year, a genuine Victorian Flea Circus, believed to be the last of its kind in Europe. 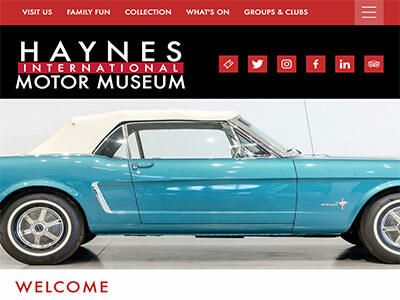 The UK’s largest exhibition of the greatest cars from around the world with over 400 amazing cars and bikes from nostalgic classics of the 50s and 60s glorious Bentleys and Rolls Royces to exciting super cars like the Jaguar XJ220. 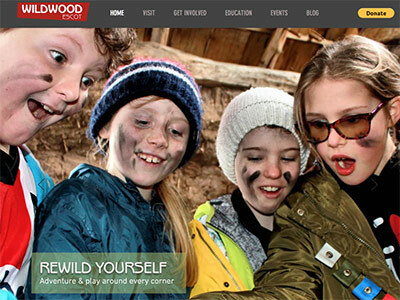 Home to the Kennaway family for over 200 years the Escot of today is setting new standards in recreation with its exciting open access red squirrel encounter where visitors can get up close to these adorable creatures, world-class maze, birds of prey displays, otters and wild boar, unique (and scary!) woodland drop slide, saxon village, indoor playbarn and woodland play areas. There’s an intriguing letterboxing trail to try and delicious home-cooked food in our Coach House Restaurant. Known as the natural place for good reason, wherever you go at Escot you will see peacocks and guinea fowl roaming free and maybe the odd chicken or few! will cross your path too. Offers a spectacular day out for all. 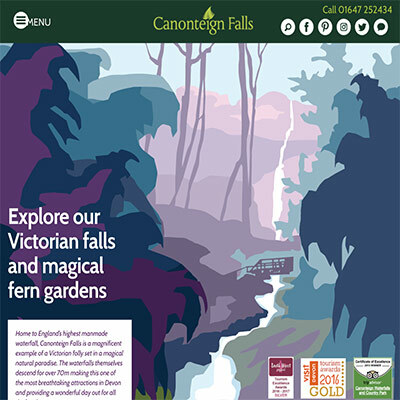 The highest waterfall in England, Canonteign Falls is found in the beautiful Teign Valley. The Falls descend almost vertically for 220ft (67m) and run on through rock formations and ancient woodlands before cascading into the tranquil lakes below. This unique sixteen-sided house was described by Lucinda Lambton as having ‘a magical strangeness that one might dream of only as a child’. It was built for two spinster cousins, Jane and Mary Parminter, on their return from a grand tour of Europe in the late 18th century. It contains many objects and mementoes of their travels. The extraordinary interior decoration includes a feather frieze, gathered from native game birds and chickens, laboriously stuck down with isinglass. There is also a fragile shell-encrusted gallery, said to contain nearly 25,000 shells, which can be viewed in its entirety using a touch screen 360 degree virtual tour. 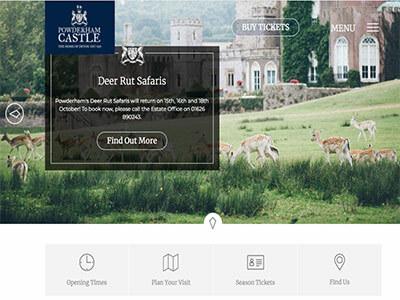 Powderham Castle is located in a unique, picturesque setting just outside Exeter, beside the Exe estuary. Six hundred years of history are contained within the walls of one of England’s oldest family homes. 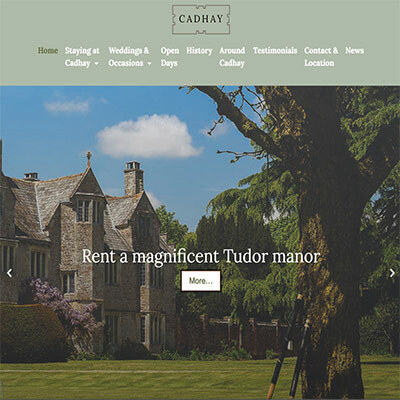 Sir Philip Courtenay began building it in 1391 and it has remained in the same family to this day, currently home to the 18th Earl & Countess of Devon. The magical setting and convenient location makes it the perfect venue for all manner of events including weddings and business functions. 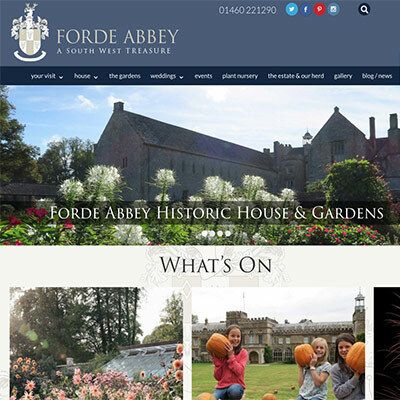 For locals and visitors to Devon it is a ‘must see’ and with its many attractions – a wonderful family day out! 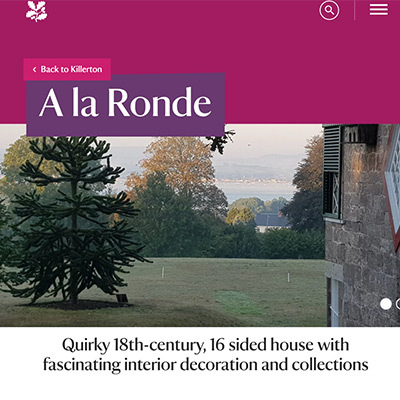 Is a beautiful Elizabethan Manor House built around a central courtyard with luxurious accommodation for up to 22 people and magnificent gardens.